Ramping Up for Homeland Security on VHS video. Starring Unknown. Directed by Unknown. 2003. As terrorists seek to inflict ever-increasing numbers of casualties against the American people, the role that public safety agencies play in our defense assumes increasing importance as well. Information regarding our plans and procedures, training methods, response capabilities, and especially weaknesses and vulnerabilities has tremendous value to our enemies. Yet much of this information can be obtained from sources available to the general public. Operations Security (OPSEC) is a process that the public safety community can use to deny adversaries the information they need to plan an effective attack against our citizens. 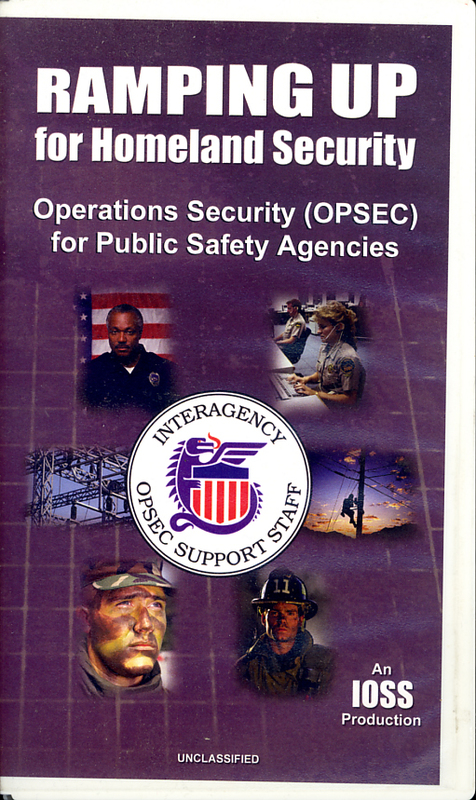 The Interagency OPSEC Support Staff (IOSS), in cooperation with the U.S. Department of Justice, has produced this video designed to introduce the concept of OPSEC to public safety personnel. 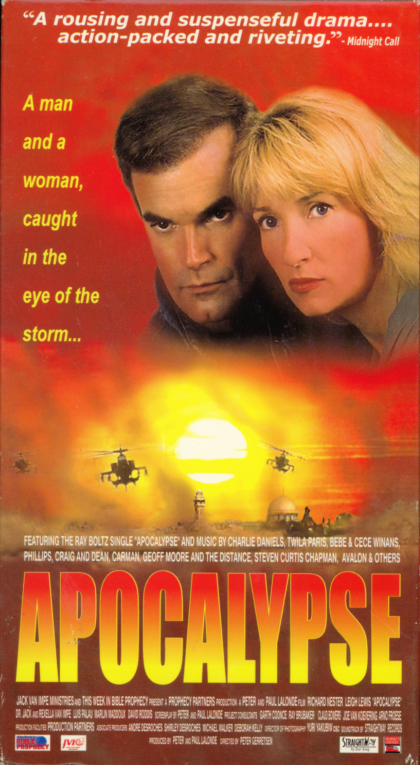 Apocalypse: Caught In The Eye of the Storm on VHS. Starring Leigh Lewis, Richard Nester. Directed by Peter Gerretsen. 1998. Army after army descends into the Valley of Armageddon in Central Israel. Millions of people suddenly vanish. It’s a media event unlike any in history, and the entire world is glued to their television sets. At that very moment, a great charismatic leader arises and performs a miracle of astounding dimensions. Is he the long-awaited Messiah? The whole world is convinced he is. Superman Cartoons on VHS. Starring Bud Collyer, Joan Alexander. Animated by Fleischer Studios and Famous Studios. 1941-1943. Max Fleischer presents the Man of Steel, Superman, who is not only faster than a speeding bullet and more powerful than a locomotive, but the epitome of Good over Evil. Clark Kent and Lois Lane combat a mad scientist who’s in control of a destructive ray. Invincible Superman destroys the terrible machine, rescuing Lois from the scientist and capturing him in the process. A magnetic telescope attracts comets endangering Metropolis until Superman reverses the effect and saves the city. The world’s largest bombing plane is threatened by Japanese agents who steal it. Superman recovers the plane and saves Lois who has stowed away seeking a story. 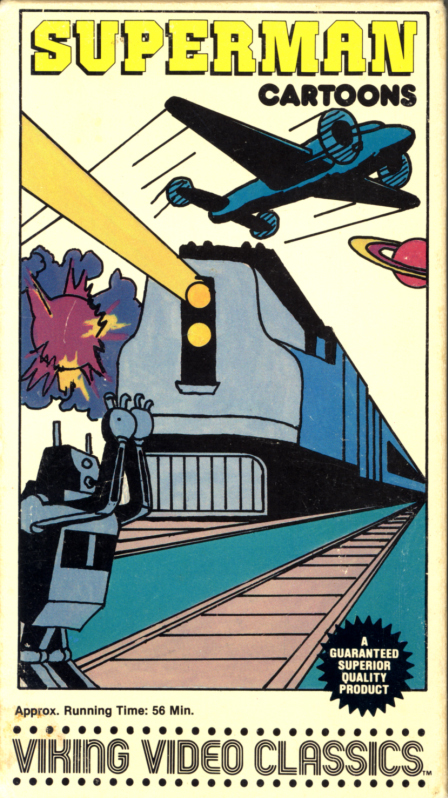 The owners of a bullet car threaten Metropolis with destruction unless a ransom is paid. Superman defeats them after destroying the bullet car. A German poses as a jungle priest to attack passing allied airplanes. Superman and Lois unmask and foil him. Robots rob businesses in Metropolis until Superman destroys them and recovers the stolen loot. An ancient mummy rises to attack Clark and Lois but Superman comes to the rescue.